MACHIAVELLI MAY NOT have been the greatest political philosopher of all time, but he certainly was the most notorious. Hobbes remains controversial, but, unlike the Florentine, he never became a literary character in a play as well-known as Marlowe’s Jew of Malta. Locke was read by Jefferson and Rousseau was consumed by Robespierre, but even though both men joined Machiavelli on the Vatican’s index of prohibited books, being Lockean or Rousseauian does not put one in Satanic company. As Miles J. Unger argues in his readable and informative biography, Machiavelli developed a reputation as an apologist for tyrants even as the names and acts of the tyrants for whom and about whom he wrote have disappeared from public consciousness. Unger skillfully narrates the details of a life led during one of the greatest periods of artistic, political, and literary activity in Western history, all of it, moreover, taking place within the confines of one small city state. But another question runs throughout his book: why did this man develop such a dreadful reputation? In the case of Machiavelli, the life and the work seem to contradict each other. “Machiavelli himself was the least Machiavellian of men,” is how Unger puts it. In his life he lacked all those qualities—guile, deceit, treachery—that he urged the leaders of his time to use. 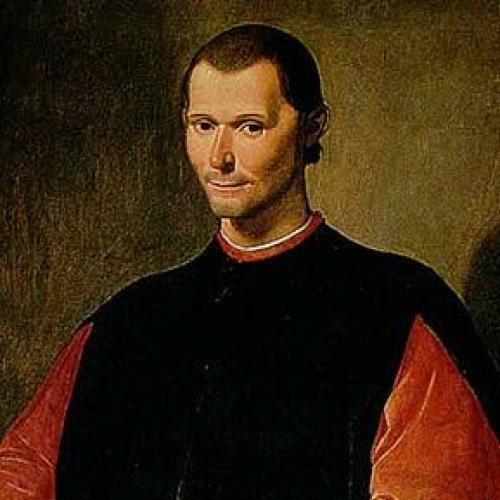 Far from deceitful, for one thing, Machiavelli was too honest for his own good: he would, as Unger puts it, “speak bluntly those truths that others would acknowledge only in private.” If the devil seduces through flattery, Machiavelli, too arrogant to stoop to condescension, considered flattery beneath him. That a prince should lie was beyond doubt. And that Machiavelli himself should dissimulate—the thought never seems to have occurred to him. Nor was Machiavelli hypocritical. This charge is tied to the fact that The Prince reads as a defense of strong and arbitrary rule while The Discourses, Machiavelli’s other great work, upheld republicanism as the very definition of a good society. Do not be fooled by the seeming inconsistency, Unger warns. Since no leader can do good if he lacks power in the first place, the ruthless advice given in The Prince can be understood as necessary to the realization of the civic virtue celebrated in The Discourses. In any case, Machiavelli was consistent from start to finish: he was a patriotic Florentine doing his best to help his city maintain its political stability in the face of more powerful enemies. It also makes little sense to claim of Machiavelli that he took sadistic pleasure in urging leaders to ignore claims of conscience, should they by chance have any, in order to strengthen their rule. In Unger’s reading, Machiavelli, even in his plays and poems, was more of a scientist than an ethicist. His task was to describe human beings as they really are. Unlike Cicero or Erasmus, he was no humanist urging political leaders to aspire to a classical or a Christian ideal of how the world ought to be. Machiavelli did not therefore dwell on the seamier aspects of life out of some personal preference: violence and torture were simply the stuff of politics in his era. Machiavelli, in this sense, is not the problem; human nature is. “Rather than treating history as the unfolding of impersonal forces, an approach stressed by political thinkers like Hegel and Marx,” Unger remarks, “Machiavelli grounded his science in the psychology of men, their ambition, appetites, and animal instincts.” Given the stuff we are made of, Machiavelli would have been untrue to his calling if, out of some misplaced idealism, he ignored the topics that made his name so controversial. Was Machiavelli blasphemous? Here, according to Unger, is a charge that sticks, even if it is also the reason for his greatness. Machiavelli was the first major writer since the beginning of the Christian era to dismiss the teachings of the Church with barely a nod of recognition. In his work, there is no plan authored by a higher power; there is only fortuna, that capricious turn of the wheel through which men rise and fall in their worldly ambition. Good and evil have nothing to do with original sin and everything to do with the consequences of political decisions. Human beings have no immortal soul. They are driven by their appetites. In the best part of his book, Unger brings to life what Machiavelli wrought. “This slender volume penned by an obscure Florentine civil servant” he writes of The Prince, “announces the coming of the modern world. Here is a radically new sensibility, one freed from the superstitions and unexamined assumptions that had governed civic life for thousands of years.” True, these are not new insights; others, including Leo Strauss and Isiah Berlin, have covered this ground. But Unger’s narrative skills are on full display as he captures Machiavelli’s thorough-going secularism. Machiavelli raised his gaze to no heaven and saw no reason to cast human beings, whose lives were rough enough as it is, into any of the circles of Dante’s hell. And since we now know how hypocritical the church had become during Machiavelli’s lifetime—popes such as Alexander VI and his son Cesare Borgia were corrupt and power hungry monsters, and they are among the better of the Renaissance lot—Machiavelli’s anti-clericalism has survived the test of time rather well. Unger does a wonderful job of bringing Machiavelli to life. But his defense of the man against his critics is not fully persuasive. For one thing, those critics remain anonymous; we never learn who, precisely, views Machiavelli as the devil incarnate and therefore deserves to be answered. More importantly, Unger skips a bit too casually over the single biggest flaw in Machiavelli’s realism. Down-to-earth as he was, Machiavelli worshiped power. But worshipful awe has its flaws, in both its clerical and its anti-clerical forms, and when he cast his gaze upon those to whom he addressed his advice, Machiavelli could become as romantic, and therefore as myopic, as any Christian praising the Lord. Machiavelli’s romanticism is most evident in the case of Cesare Borgia. Serving in an important diplomatic capacity—his title was Second Chancellor of the Florentine Republic—Machiavelli observed at firsthand Borgia’s success as a military leader, as he brought one Italian city state after another under the control of the Papacy. But Borgia, of course, was known also as among the cruelest of men; rumors that he was responsible for the death by poison of his brother circulated widely, and in any case Borgia’s direct involvement in the killing of his enemies was beyond dispute. Machiavelli was barely bothered by any of this. In the most famous passages of The Prince, Borgia became the very model of a leader whose cruelty serves the higher end of avoiding anarchy and whose actions are therefore justifiable. In those passages, realism is given its finest expression. This, Machiavelli tells us, is what politics is about. Take it or leave it. Unger cites this passage and recognizes its flaws, but he is anxious to defend Machiavelli on nearly all counts, and so he fails to appreciate how thoroughly Machiavelli had succumbed to the same wishful thinking that characterized the Christianity for which he had such disdain. Perhaps the faithful had it right after all. In Machiavelli’s account, as in those of the Church he scorned, the world is governed by a supreme and unseen force well beyond the control of men, even the most powerful of them. Call it, if you must, fortune. But a God by any other name is still a God. Unger is a storyteller, and a good one, and so perhaps it is unfair to hold him to the standard of a theorist. But not content to end with Machiavelli’s death, he goes on to consider his gift to us now. “Terms like Realpolitik and raison d’état, theories that take a dim view of humanity and advocate strong medicine to curb our appetites,” he concludes, “can be traced to Machiavelli’s writings, particularly to The Prince, where he sets out most forthrightly his bleak vision of our animal nature.” If Unger is correct, and I believe he is, we have inherited not only Machiavelli’s genius but his flaws. Today’s realists might well benefit from some reflection on Machiavelli’s great error: worship power a bit too much and reality will eventually elude your grasp. Alan Wolfe’s Political Evil: What it is And How to Combat it will be published by Knopf in September.